Several Illinois politicians traveled to Little Village Sunday for the annual Mexican Independence Day parade, and a few of them seized the moment to blast GOP presidential candidate Donald Trump for his off-the-cuff remarks about Mexican immigrants. "He's made some really colorful and unfortunate comments. You know, he's in show business," said Ald. Ricardo Munoz, whose ward includes Little Village. Gov. 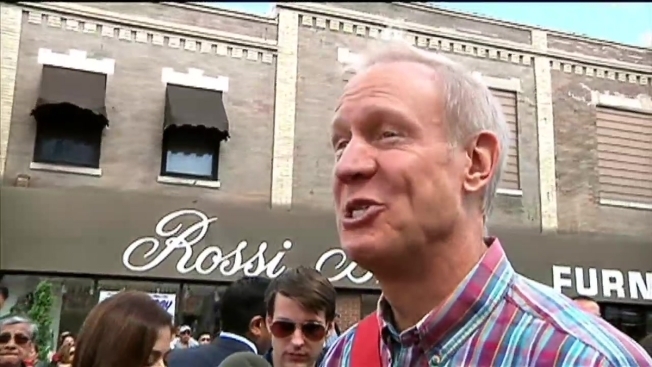 Bruce Rauner and former Gov. Pat Quinn also marched in the parade. The current Republican governor stayed away from comments about Trump, but his Democratic predecessor said some harsh words about the presidential candidate. "I think Donald Trump owes an apology to everyone in America," Quinn said. "Our country is everybody in and nobody left out." Mayor Rahm Emanuel made an appearance at the parade, too, shaking hands and offering high fives to residents watching the spectacle that marks the largest celebration of Mexican heritage and culture in the Midwest. Trump drew harsh criticism from opponents across the country when he made remarks about Mexican immigrants bringing drugs and crime to the U.S.
"When Mexico sends its people, they're not sending their best," Trump said over the summer. "They're sending people that have lots of problems, and they're bringing those problems with (them). They're bringing drugs. They're bringing crime. They're rapists. And some, I assume, are good people."